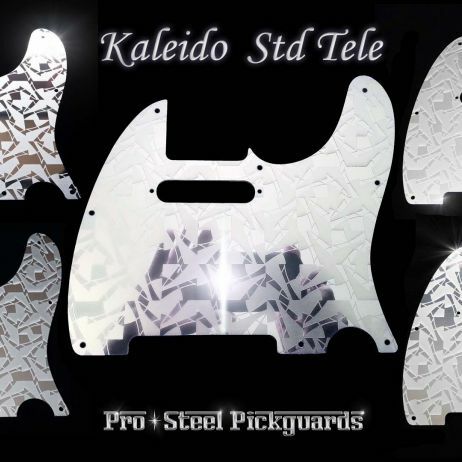 commented on "Tele Kaleido Set Fender Telecaster Etched Mirror Pickguard & Control Plate"
commented on "Kaleido Etched Mirror Stainless Steel Tele guard for an awesome Fender Std Telecaster Pickguard"
Polished mirror with a permanently etched star-like pattern, a durable alternative to a full mirror guard, the etched design covers about 55%, with the remaining mirror catching light reflects. 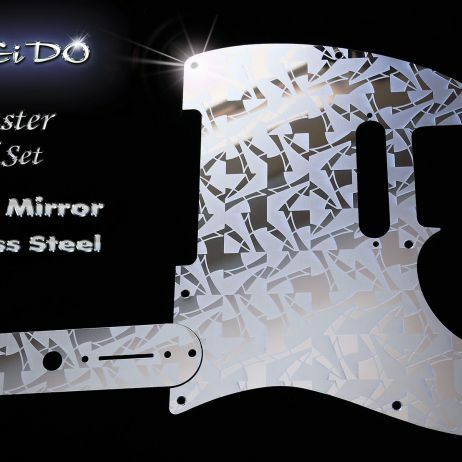 Kaleido is a popular customer choice. 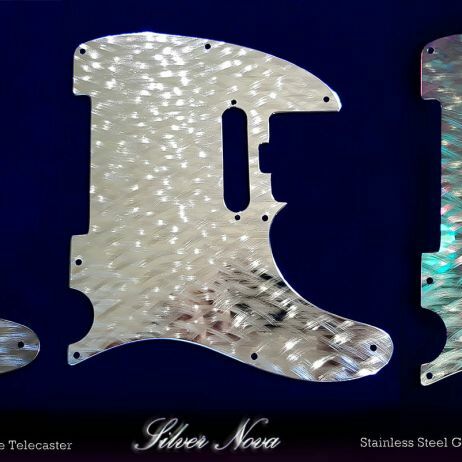 commented on "Stacco Silver Fender Telecaster Pickguard Polished Metal Steel Tele Guard"
commented on "Silver Ripple Stainless Steel Fender Telecaster Metal Chrome Pickguard"
Rippled & Polished to a smooth shine for a lasting bling and a very durable playing surface. 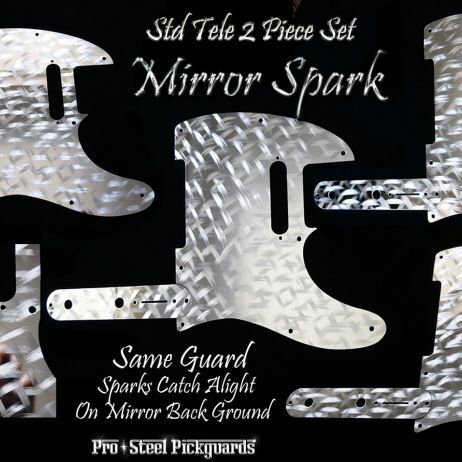 commented on "MIRROR SPARK FENDER TELECASTER GUARD METAL CHROME STEEL TELE PICKGUARD"
SPARKED & POLISHED MIRROR STAINLESS STEEL PICKGUARD FOR FENDER STD TELE. 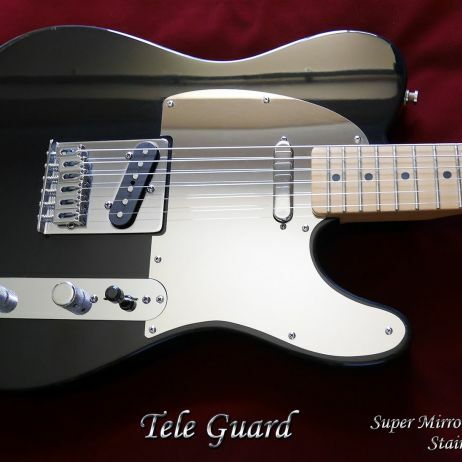 USA MiM. 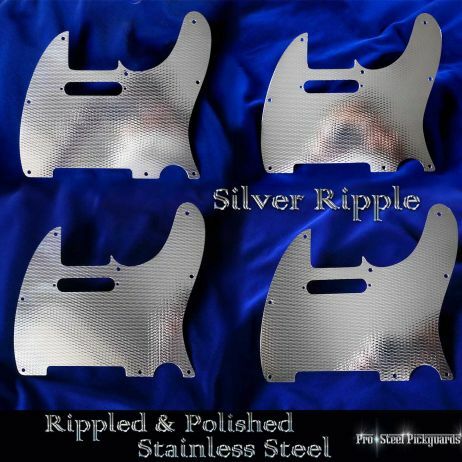 WORLDWIDE AIRMAIL. 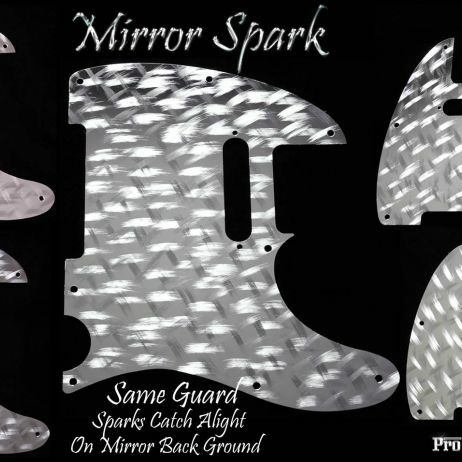 CLICK FOR DETAIL. 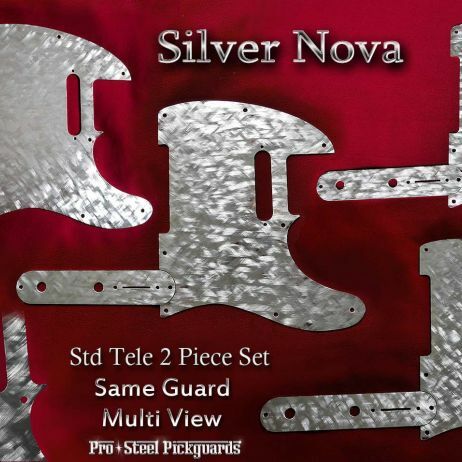 commented on "MIRROR SPARK TELE GUARD AND CONTROL PLATE SET FENDER TELECASTER METAL CHROME STEEL PICKGUARD"
commented on "Silver Nova Tele guard and control plate set for Fender Telecaster steel chrome pickguard"
commented on "* IN STOCK * BRONZO STACCO FENDER TELECASTER STEEL PICKGUARD WORLDWIDE AIRMAIL"